Seventeen youths arrested on suspicion of being members of the Al-Shabaab terror group are free following a ruling by a Kwale court. 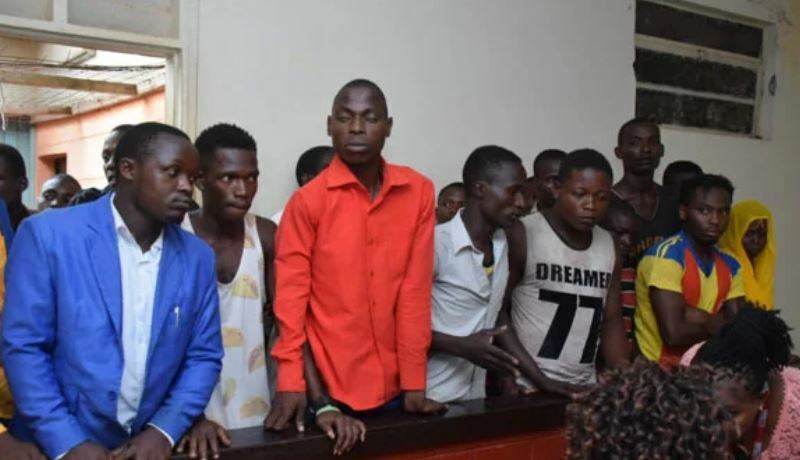 The suspects; 15 men and two women aged between 18 and 28, were arrested on January 28, in a two-bedroom house in Samburu, Kwale County. Police claimed that the suspects were Al Shabaab recruits on their way to Somalia. Kwale Chief Magistrate Dominica Nyambu acquitted the suspects for lack of evidence. She said extensive enquiries have satisfied the investigation that there are no grounds to charge the suspects with terrorism offences. “The Director of Public Prosecution has found no charges against the suspects and they are all discharged and file closed,” ruled Ms Nyambu. The suspects had been charged with two counts of being members of a terrorist group and being found in possession of counterfeit products. They denied the allegations, counter-accusing the police of harassment and confiscating their mobile phones. The group claimed they were salespersons employed by Primmax Marketing Limited company which has several branches in the Coast region. The suspects’ lawyer Raphael Chimera hailed the ruling, saying that the prosecution did not have evidence to sustain the charges and that the court released them unconditionally. “As far as I’m concerned the suspects are now free because the investigations showed that they do not have links with the terror group,” he said, adding there will be no further charges against them. The 17 include: Nuru Sofia Alamini, Mr Wilfred Mandisa Ngenge, Mr Gerald Irungu Nyambura, Mr Joseph Momanyi Obonyo, Mr Albert Kilunga Abagaressa, Mr Joseph Mrabu Charo, Mr Daniel Safari Kadenga, Mr Michael Muye Mwang’ombe, Mr Christiano Krisha Daido. Others are Jackson Abio Dadoo, Mr Christopher Najib Saro, Mr Karisa Habel Randy, Mr Kelvrin Ogongo Nyakundi, Mr Robert Moreno Shaban, Isnino Fardia Hussein, Mr Edwin Moroni and Mr Collins Maina Mbogo.